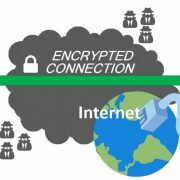 Top 5 Free and Paid VPN Apps to surf anonymously over the internet in detail along a downlaod link with Pros and Cons to know whether you should go for them or not. 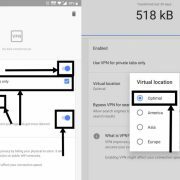 A VPN or virtual private network client is a piece of app, which can be installed on your android device, in order to encrypt the data, which is being sent between you and the remote server. It is by far one of the best ways to guard your privacy, when there are hackers all over, sitting like alligators to steal your data. Searching for VPN on Play Store will unveil a lot them, where only a few deserve your attention. But finding the best VPN apps can be a difficult task, and thus, here is a list of top five VPN apps, which you can start using from today, to go anonymous over the Internet. 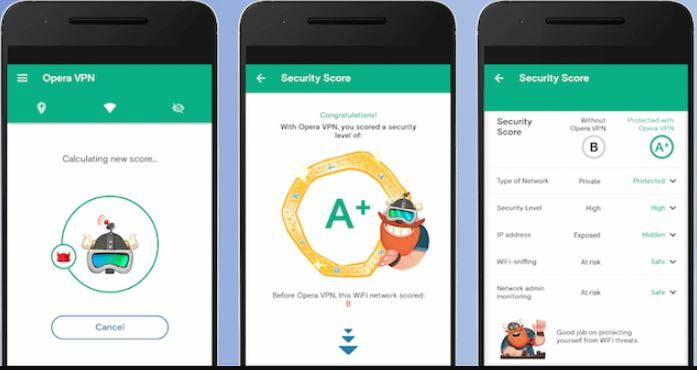 If you are looking for a free VPN app, after spending a lot, behind your Wi-Fi, or costly mobile data, Opera Free VPN app can be the best mate for you. Though it is from the developers of the highly popular Opera browser, don’t think, it will not work for other browsers. 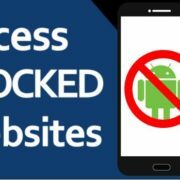 Once you install the Opera Free VPN, all the data sent and received through your Android device will be encrypted, apart from surfing and downloading over mobile browsers. Consistent speeds for surfing, downloading and streaming audio and video. Completely free to use, with no throttling of speeds. The app also comes with a separate Data Saver package, which can save data, if you are on a mobile network. Netflix streaming might cause issues in some locations. If you are looking for ways to encrypt your data while using public Wi-Fi, and that too without any speed issues, go for Opera Free VPN. Note: The Opera VPN is not available anymore…READ– End of Opera VPN browser for PC approaching, are you looking for a best free alternative? 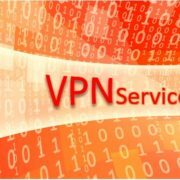 Hola Free VPN Proxy is another great free VPN alternative, which you can use, in order to encrypt all the data, sent and received through your mobile. Unlike other popular VPN apps, which rule the internet with the powerful features, Hola has some unique features, which can actually be great for a handful of netizens. 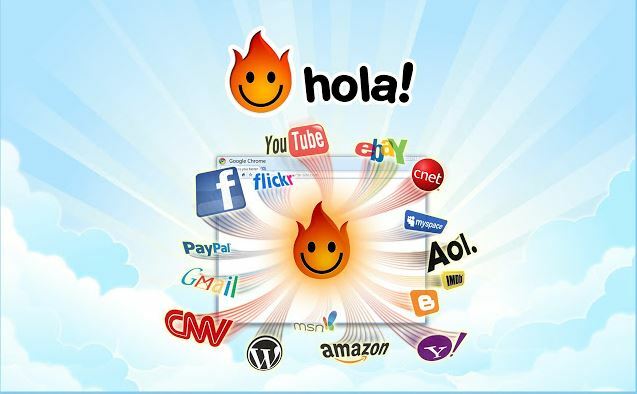 Hola is completely free to use, and just like other VPN apps, it has its own pros and cons. Consistent speed and there is no throttling. Completely free to use to encrypt all data, and you can even change your GPS location. More than 70 locations available to use almost all kinds of services. The app also comes with a number of extra features like caller ID, which can be handy for some. Support a number of great streaming services like Hulu, BBC, Spotify, Netflix, which is great for media streamers. The VPN can only encrypt data for certain apps, not for the complete system, which can also be the bottom line for this VPN client. Separate apps can be assigned to use separate locations so that you do not need to switch locations each time you use a different app. Available for Platforms: Chrome extension, Internet Explorer, Windows, MacOs, FireFox, SmartTV, Android, iOS and more. Visit Website. F-Secure Freedome VPN is for those, who don’t want to compromise on quality, without worrying about its fee. The app also comes with the option to keep away viruses, which is an incentive offered by the app. Starting the VPN services is just a few taps away, after you download the app, and is thus, great for novice users. This VPN app, being a paid one, there is no logging policy, which means, you can completely go anonymous, with this VPN client. In simple words, you can get a lot with just Rs. 2100 or 32 USD, on using F-Secure Freedome VPN. It has a no logging policy to encrypt your traffic, in the true sense of the term. More than 50 geographical locations are available from different countries. It offers a wonderful speed, to enjoy super fast streaming and downloading. Netflix streaming seems to cause issues in some locations. The safe surfing feature is great for a majority of users, but it can be irritating for some. 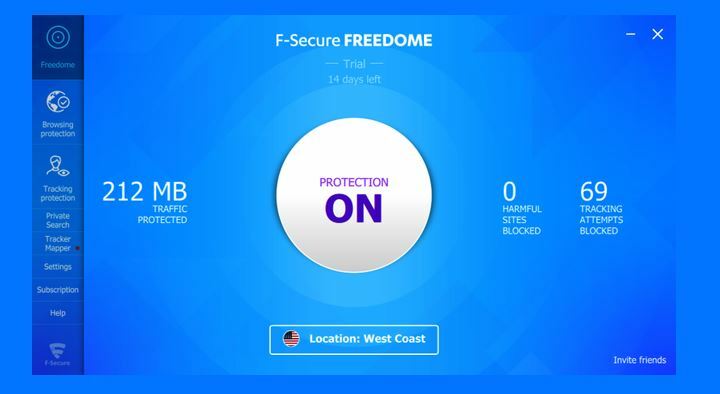 If you are looking for a quality VPN at the minimum price, F-Secure Freedome VPN is something, you can go for. Available for Platforms: Windows, MacOS, Android, and iOS. Website Link. Betternet used to be the best! Yes, you heard it right, it used to be the best free only VPN service provider, but now, a paid version is also available for those who are looking for improved services. Unlike other VPN services, Betternet states its policy pretty clearly, and there is nothing hidden in the terms. With Betternet, you can get the most premium services and that too at a very affordable package. If you are a geek and want to get the best out of your internet, Betternet is the one, you should go for. 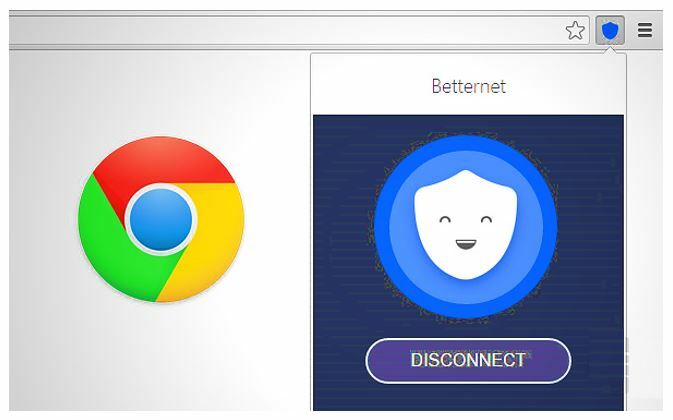 Betternet offers premium services at the cheapest rates, and the free version also offers decent speed, just to fulfill your needs of hiding your privacy on the internet. Very transparent terms and conditions. More than 100 locations available from over 15+ countries. Very clean no log policy, and thus, no chances of any data breach. Netflix and a number of other streaming services are supported. Only 1 location is available for free users. The speed can degrade in peak hours, for free users. If you are worried a lot about your privacy, Betternet is recommended, just because of the policy provided by the company. Available for Platforms: Windows, MacOS, Chrome, Mozilla Firefox, Android, and iOS. SurfEasy VPN is one of the best VPN services, which you can use if you just do not want any speed throttling, while surfing, downloading, or doing your favorite stuff on the internet. The app comes with lucrative subscription packages to use the internet without any limits. You can get 7 days free trial just to check, whether it is worth your penny. SurfEasy comes with all the best features, you want from a VPN service. 15 locations available, which can be adequate to fulfill all your needs. The free users can access 500 MB per day, which is enough to fulfill surfing needs. No logging policy is available for both free and paid users. Easy availability of Netflix and other popular streaming services. Very lightweight, great for slower devices. 15 locations can be enough, but most paid VPNs provide more geographical locations. The prices need revision, as the competitors are offering the same at lower prices. Very easy to user interface, and the Android widget makes the application controls, a piece of cake. If you any best free VPN app or service, please let us know. The comment box is all yours! !